3D Structural installs the A.B. Chance helical pier, a proprietary deep foundation anchoring system that is well-respected in the construction field, American made and used all over the world. Chance engineers have been heavily involved in the development and governance of helical pile design and installation guidelines. For more than 100 years, Chance piers have proven time and time again to be down right solild. Helical piers, also referred to as Helical anchors, are highly engineered and are used in residential and commercial applications. Our technicians undergo a certification process to ensure proper installation processes are known and followed. Helical pier systems are installed by actually “screwing” the pier into the ground until a calculated amount of torque is reached. The piers are load-tested to a force greater than required to ensure that they have enough resistance capacity to lift and stabilize the foundation. With this approach, we will notch out sections of the footing to get the bracket and pier under the center of the footing at it’s strongest point. Notching out greatly reduces the chance of cracking or breaking the footing, and provides for better opportunity to transfer the full weight of the structure to the pier. 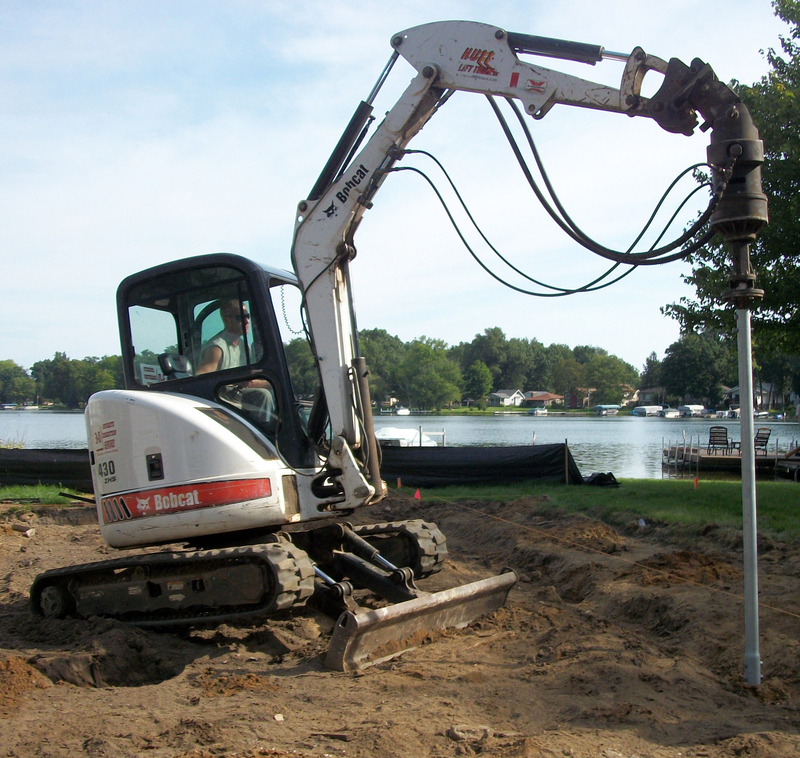 Other applications for Helical piers also includes New/Pre Construction foundation supports, as well as Helical tieback anchors and soil nails that are used for basement walls, retaining walls, levees and dams. 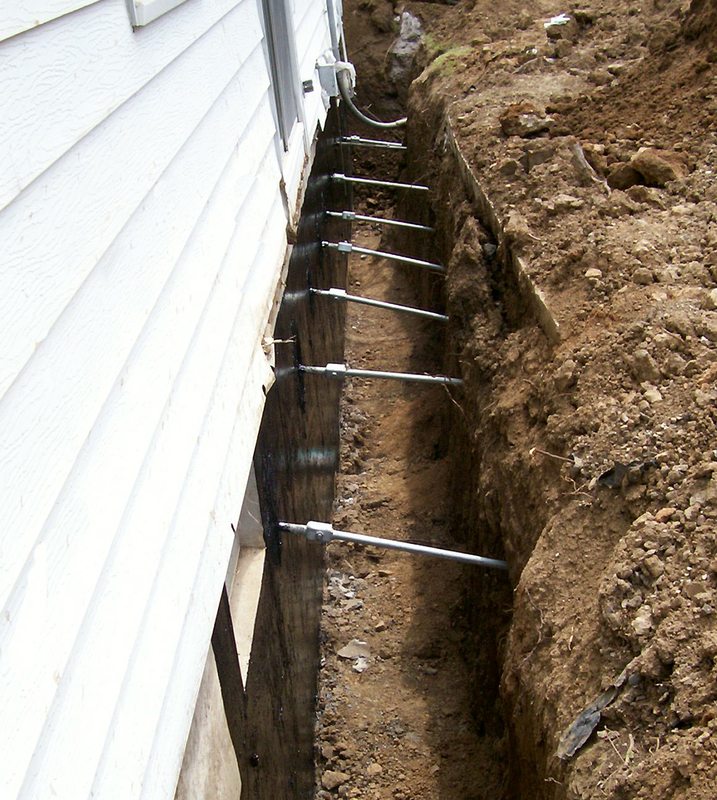 In the tieback application, the Helicals are installed to hold the wall in tension and resist soil pressure, which prevents further bowing or leaning in basement and failing retaining walls. 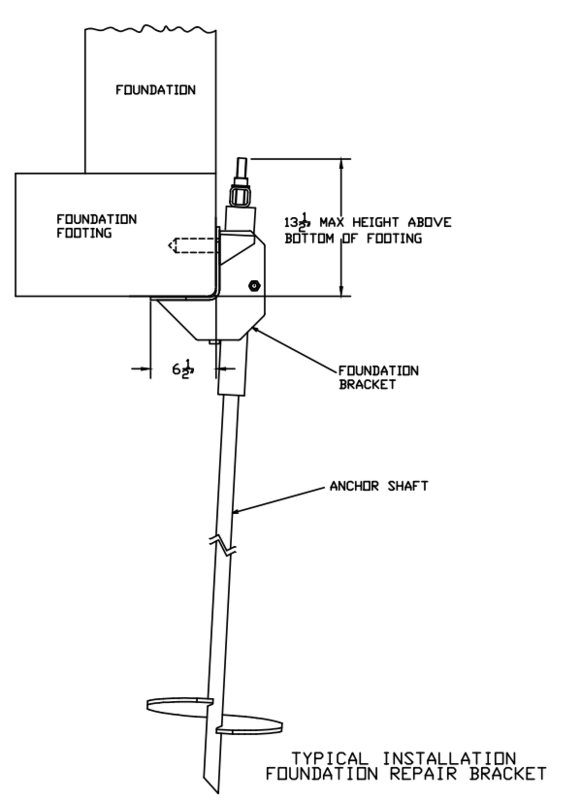 In situations where conditions are not right for Helical anchors, a plate anchor system may be a suitable option. Plate anchors are also designed to hold the wall in tension, typically with a lower load capacity than the Helical tieback anchors. In most residential applications, 3D Structural will use a Helical pier with either double or triple helix configuration. This will vary due to weight and size of the structure, as well as pier spacing. The more common helix sizes used are 8″, 10″, and 12″.